Normally yes, it’s Spaghetti Sunday but i’ll do it today. 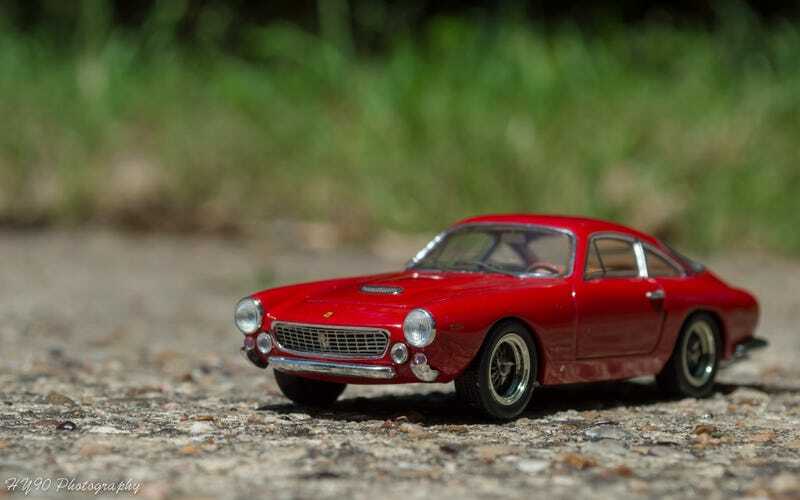 This is a HWE 1/43 Ferrari 250 GT Berlinetta Lusso. Got this one from a Mattel store for only $19.99, which is an amazing deal considering this specific model goes for $50-60 on e the Baeeee. The model itself is meticulously detailed for what it is. The grill is perforated as well as having a photoetched Ferrari logo. The chrome plastic is nicely done as well. Headlamps are bug-like but they do represent the actual car pretty well. One thing I wish HWE would have done was photoetched the hood grill as well because it’s just a big piece of plastic. If you notice, the car doesn’t come with mirrors. That’s actually historically correct because during the era, mirrors were not required and most Lusso Berlinettas come without them. Is it just me or is it hard to believe that HWE was able to put that much detail onto a 1/43? The wired wheels are absolutely stunning and extremely well done. I might not be the best descriptor, but let the photos speak for themselves. Honestly I wasn’t expecting much with HWEs as the 1/18 LaF and Speciale was quite disappointing. But my God, this model blew me away. A model the size of your palm having such incredibly detailed components was something any collector would be awfully happy about. Like someone mentioned in the previous F430 GT3 post, it’s about time you guys make a trip down to your closest Mattel Store because the deals won’t last!